We're nearing the end of our countdown of the 10 most exciting, cutest, noteworthy and/or memorable ways that 2013 is one year that we won't forget. Few things on this blue planet could be as adorable as the fur seal born here at the Aquarium this summer. 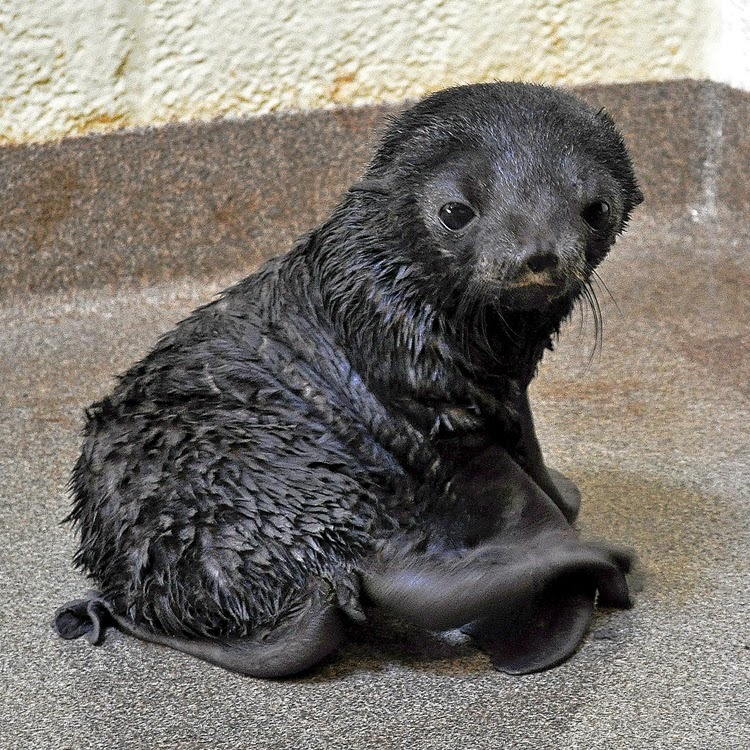 Kitovi was born late one night in August and named after a rookery where wild fur seals are born in the Pribilof Islands of Alaska. She was a media darling—because look at that face! Remember when Kit was this adorably tiny at just a few days old? From the start, Kit was independent and spunky. She spent a lot of time behind the scenes with her mom Ursula, nursing and learning how to be a fur seal. She was quick to explore and spend time apart from mum. But when it came time to step flipper into the public exhibit, Kit had a moment of stage fright! But those initial moments of trepidation are long gone. These days she's eating fish, exploring the exhibit and playing with her big brother Flaherty and his buddy Leu. 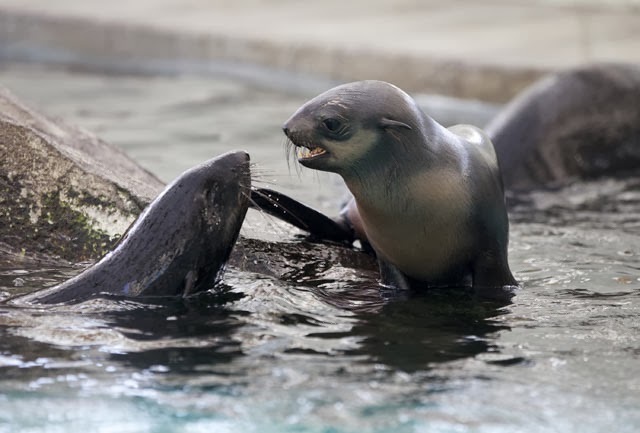 But she still has a lot of growing up to do before she can hold her own with the rambunctious sea lions Zoe and Sierra. 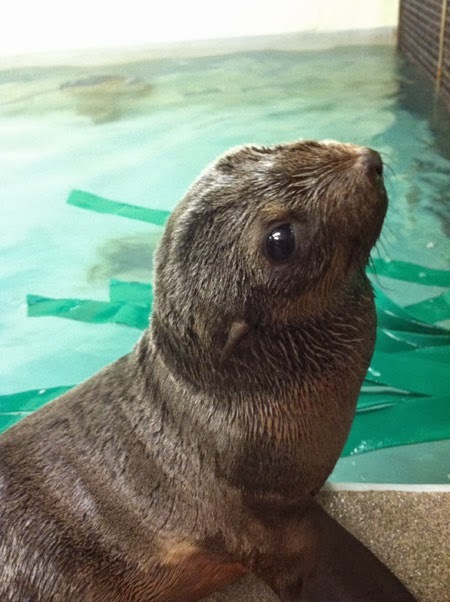 Kit is growing up to be a smart, independent and thoroughly adorable fur seal!